Two rare ones from the early 70s years of Nolan Porter – a time when he was one of the most unusual soul singers around! 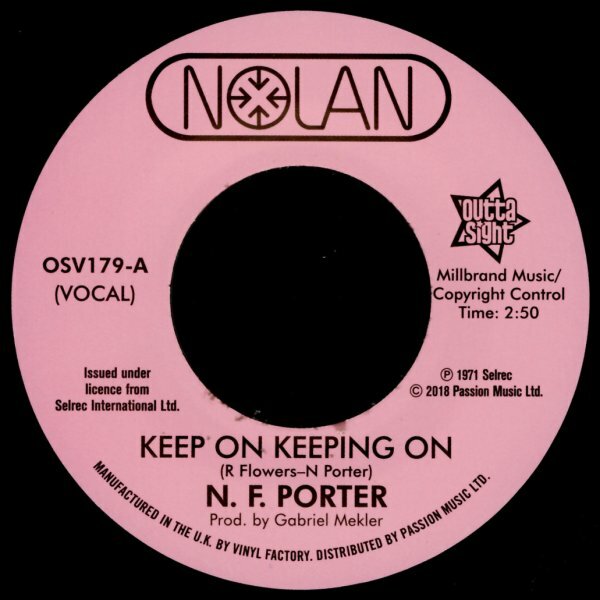 "Keep On Keeping On" comes on strong with a romping rhythm and this weird, almost watery wah wah guitar line – almost mixing Northern Soul with a more righteous 70s approach! "If I Could Only Be Sure" has a more fluid 70s groove – tripping along with a sunny sort of energy, and almost an Al Wilson style of vocals from Nolan! © 1996-2019, Dusty Groove, Inc.